Good morning everyone, I’m Hercules your host. I’m about two cups of green tea deep, and I’ve already had three glasses of pH 9.0 alkaline water. Feeling tip-top on a sunny day! Today I’ll be sharing a new type of alkaline water machine with you that uses a completely different concept than the other units I’ve reviewed. I’ve been researching all morning to put together my Cosan Life Water review. 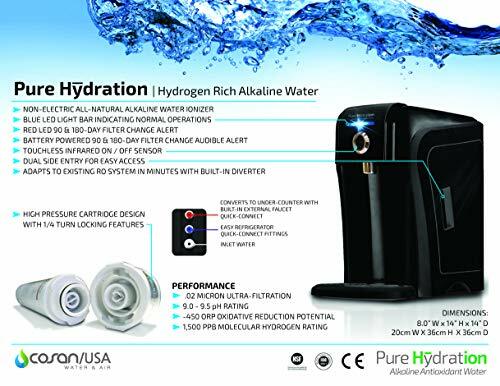 The manufacturer of the Pure Hydration Alkaline Antioxidant Water Ionizer (model PH127) is Cosan/USA. The other units I previously reviewed were produced by Air Water Life, Bawell, and IONtech. At first glance, I can tell you that the Pure Hydration unit is much different than the other machines I’ve reviewed. There are certainly some pros and cons for you to consider before buying the Cosan machine. The company calls the special water this ionizer produces “ES-4 Life Water,” and it’s certainly creating a buzz in the health community. According to Cosan/USA, they’ve already sold over 120,000 units worldwide. In my review below, I’ll show you exactly what you are getting with the Cosan ionizer, a brief overview of the technology, warranty, and other important information for you to consider before purchasing your first or perhaps second alkaline water machine. 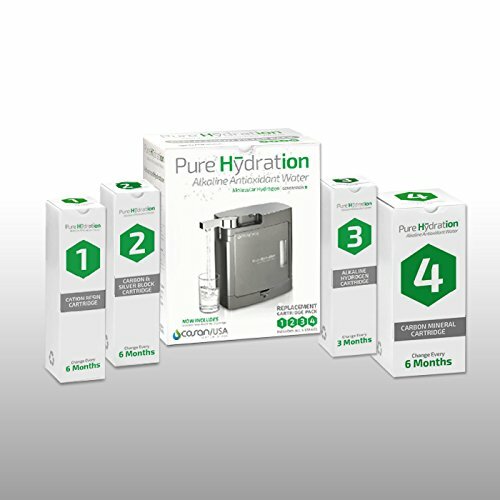 The Pure Hydration unit is currently selling for under $500, which puts it into our category of ionizers below $1,000 here. What are people saying about the Pure Hydration Ionizer? After doing my research on the Pure Hydration unit, I noticed some immediate pros and cons when compared to the previous units I’ve reviewed. The verified reviews of the Cosan ionizer are glowing, and people are glad that they chose to buy it over the more expensive Kangen machine. Let’s go over the features that make the Cosan unit different and see how it stacks up against some of the ionizers in a similar price range. Cosan/USA offers a 15-day money back guarantee on the Pure Hydration unit. 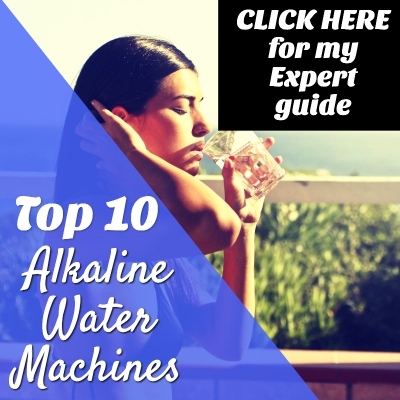 This no-strings-attached element could be exactly what you are looking for if you have yet to experience the life-changing health benefits of alkaline water. On top of the money back guarantee, Cosan also offers an ironclad lifetime warranty without expiration. I have yet to see a better guarantee and warranty combo. The Pure Hydration is unlike other units I’ve reviewed that feature attractive LCD panels with lots of options. Instead, the Cosan offers a single alkaline water level that is supercharged with unique health benefits. We’ll get more into that later in the review. This ionizer has an Abundant Molecular Hydrogen (H2) rating. There is an Asian foundation known as the Molecular Hydrogen Foundation that has conducted studies on the positive effects of molecular hydrogen in the human body. They’ve discovered profound anti-aging effects. Molecular hydrogen is a key antioxidant that could help us live longer lives. The Pure Hydration unit produces water with a tested hydrogen range of 1,400 ppb – 1,700ppb. Here’s what might be a turnoff for some people. The Cosan uses four filters that need to be changed every six months. However, there is no need to install a pre-filter, even if you have hard water. The filter replacements are more expensive at $125 a pop, but owners still save money in the long run. This unit produces water in the pH 9.0-9.5 range only. The ORP range is -400mv to -700mV. This is slightly lower than other units I’ve reviewed. For those of you who are unfamiliar with the ORP rating, the lower the number the more antioxidants you get in every glass. Other ionizers I’ve reviewed typically produce water up to -850mv. Installation of the Pure Hydration unit is easy like all alkaline water machines. Cosan provides all the necessary parts to do a countertop or under the counter installation. Most manufacturers do not provide parts for an under the counter installation. The Cosan ionizer uses a retractable spout that can be tucked away if you choose to travel with the unit. The filters are patented. Cosan stands by the belief that pre-filtration is absolutely necessary to get the best alkaline water. With their filters, you are undoubtedly getting a superior tasting and healthy water. Keep in mind, there is only one alkaline setting. The Pure Hydration’s dimensions are 13″ Length x 5.5″ Width x 11″ Height. A huge pro for the Pure Hydration ionizer is that it makes zero waste and needs zero electricity to work. All you have to do is hook it up, and you’re ready to go. The unit only weighs 7 pounds. This is the lightest ionizer I’ve reviewed, and the best one I’ve seen for travel. The filters have a .02 micron rating. They remove 99.9% of 215 water contaminants that are found in tap water. The unit has a flow rate of 2.1 liters per minute. The filters use 100% natural Earth elements to make the water. This unit is countertop only. Alright, I just watched the videos for the installations on the countertop and under the counter, and no one should have a problem with the basic countertop installation. One neat feature I noticed is the way the Cosan spout works. When you pull the spout out, the water doesn’t come out until it reaches a certain point. This feature prevents spills. You’ll be able to see clearly what I’m talking about in the videos below. I’ve just watched the under the counter installation video, and it’s a bit trickier than the basic installation. Cosan/USA does provide all the parts for the installation, but some people may need to hire an expert to complete this type of installation. I think there are a lot of handy husbands and wives out there who can get the job done. Which installation will you choose? Here is the biggest pro & con wrapped into one for the Pure Hydration unit. Unlike other units, you will need to replace the filter cartridges twice a year instead of the standard once per year. However, here’s the reason this con could actually be a pro. There is no need to buy a 3-stage pre-filtration system. The Pure Hydration unit is good to go once you flush the filters with a couple of gallons of water. Below you can see a chart of all the gunk each filter removes from your drinking water before it hits your glass. Cosan/USA offers by far the best water filtration I’ve seen in any ionizer. Below I set up a table to show you the average cost of the replacement set, life of the filters, and type of filtration. Remember, the machine uses four filters. The reason the set is for five filters is that filter #3 should be replaced every 3 months. The replacement set comes with two #3 filters to make sure you get a full six months out of every set. 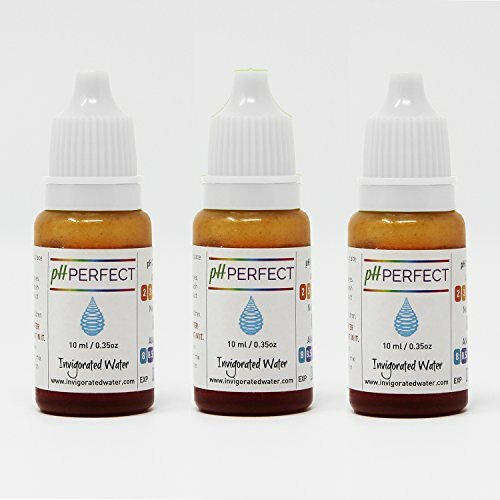 The water goes through the Cation Resin Cartridge to soften hard water and make a better tasting water. Then it enters the Carbon and Silver Block Cartridge which is made of high-compressed activated carbon and silver. This filter removes microbes, micro-contaminant, and any rust. Next is where the alkalizing and ionizing magic happens in the Alkaline/Hydrogen infusing cartridge. This filter not only increases the ORP and PH levels but removes harmful bacteria and viruses as well. The fourth filter contains activated carbon, coral, tourmaline, KDF, and Barley stone. This filter neutralizes mercury and removes any lingering heavy metals. The filtration is what makes me like the Pure Hydration unit. Yes, the filters cost more, but a problem I see with other units is less pre-filtration can lead to water with fewer health benefits. With the Pure Hydration unit, you get a mineral-rich, high pH water with molecular hydrogen that doesn’t need electricity to be made. In other words, you are getting alkaline water the way nature intended it to be made. Since this is my first review of a Cosan/USA product, let’s see what people are saying about the customer service, the machine itself, and other interesting tidbits of information to consider before buying. Your contact at Cosan/USA “Jim” sounds like a very helpful and friendly guy. One user mentioned that Jim is easy to talk to and “cares” about his customers. Here’s a cool review by someone from Joe Gibbs Racing. She said the unit is a huge “hit” at the clinic, and the athletes love drinking the water. One person broke a cartridge while installing the unit, and Jim immediately shipped her a replacement free of charge. One man’s wife, the “skeptic,” even believes in the power of the water. Now she only drinks water from the Pure Hydration machine. The water tastes like it came from a “mountain spring.” I don’t know about you, but I need to get my hands on some of this water. One woman is making delicious fruit-infused water with the Cosan ionizer. One man from Florida said his family stopped drinking cola because they love the water so much. His mother even brings the ionizer with her when she travels. One woman who thought the machine was a scam was given a freebie four cartridge replacement by the company. The sincere nature of the people who own the company and their belief in the product turned her into a believer. One man ran a TDS (total dissolved solids) test to see if the Pure Hydration does indeed add minerals to the water. He found that the Pure Hydration alkalizer increased the TDS, which proves that healthy minerals are added to the water. Now let’s see what kind of health benefits current owners of the unit are experiencing. That’s the main reason we buy the unit in the first place, right? A woman with a hiatal hernia said she can eat almost anything now without experiencing any stomach issues. She feels “much better” overall. A Canadian woman experienced a 50% decrease in fibromyalgia pain after three months of drinking the ES-4 Cosan Life Water. Her rheumatologist has since removed 3 prescription drugs. She also noted improved sleep quality, and her chronic fatigue has become less unbearable. She’s speaking directly to me there because I’ve been through a battle with chronic fatigue myself. It’s what led me to alkaline water. A woman from Florida said her skin is “visibly less wrinkled.” Her BPM while exercising returned to normal, and she’s feeling “great.” Her husband lost a few pounds without making any changes to his diet. One person reported going from 250 lbs down to 193 lbs just by drinking molecular hydrogen water from the Pure Hydration ionizer. If you can get past the higher cost of the replacement filters and the need to replace the filters twice per year, the Cosan/USA Pure Hydration ionizer looks awesome in my opinion. My favorite part is that it doesn’t use metal plates to ionize the water. I also don’t need to buy a pre-filtration system. Everything I need to get amazingly healthy water is right there in the package. The price is also right at less than $500. Plus, it comes with the first set of filters. The positive reviews are also some of the best I’ve seen after reading hundreds of reviews to help you guys save time having to sift through them all. And last but not least, the molecular hydrogen provided by ES-4 Life Water is the ultimate choice for people who want to get the most anti-aging benefits. Cosan Life Water could be the closest thing available to the Fountain of Youth currently on the market. Keep in mind, you have no risk with the 15-day money back guarantee and lifetime warranty. Without your health, you’ve got nothing going on. I thank God every day for good health.